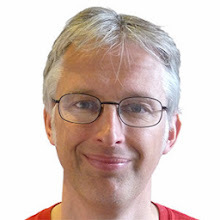 Robert Muchamore with interesting observations about gender and children’s publishing…. Speaking at the Hay Festival, in an event with author Sophie McKenzie, [Robert] Muchamore, the author of the best-selling Cherub series, said: “The longer I’ve been a writer, the more I’ve realised that actually girls and boys are more into the same things than they are into different things. “There’s a lot of convention in children’s publishing – that if you write a book for a boy it’s got to be very simplistic, it’s got to have lots of action in it because all boys want to do is run around and bang their heads up against the wall because they’re lunatics. “And if you write for a girl it’s got to be about make-up and lipstick and kissing boys and all that. And it’ s just not true. Gendered book covers are a large part of the problem. More via Robert Muchamore: ‘Don’t gender-section books’ – Telegraph. The number of children who enjoy reading for pleasure has increased but the gender gap between girls and boys has widened, according to a new report from the National Literacy Trust (NLT). For this year’s ‘Children’s and Young People’s Reading’, an annual report into children’s reading habits, the NLT surveyed young people aged eight to 18 in the UK in November and December 2014. During that period, 54.4% of children and young people said they enjoyed reading very much or quite a lot, compared to 53.3% in 2013. Last year there was also an increase in the number of those who read daily outside school (41.4%, up from 32.2% in 2013). The NLT asked participants about what types of reading the children did, dividing it into categories such as fiction, websites, text messages, song lyrics and e-books, and 46.7% said they read fiction outside the class. All formats had grown in popularity apart from magazines, which were read by 48.7% of children, compared to 52.7% in 2013. However, the survey also showed that the gap between the number of girls who read compared to boys is wider than before, as 61.6% of girls said they enjoyed reading either very much or quite a lot compared with 47.2% of boys. The gap rose from a 12.7 percentage point difference in 2013 to a 14.4 percentage point difference in 2014 because more girls said they enjoyed reading, while the number of boys who said the same thing remained static. 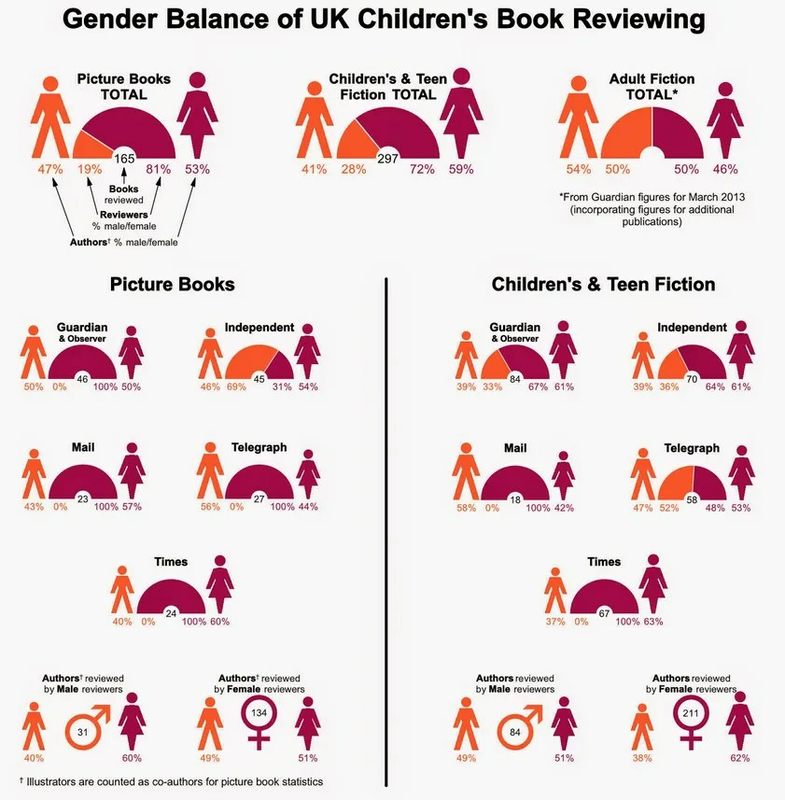 via Gender gap widens for children reading for pleasure | The Bookseller. American writer Shannon Hale on the issue of segregating girls from boys on author visits. "Because the administration had already shown that they believed my presentation would only be for girls?" via No Boys Allowed: School visits as a woman writer. Research recently published by the National Literacy Trust and educational publisher Pearson shows that among low-income families, technology can be a “more engaging learning tool” for three- to five-year-olds than books. Boys were twice as likely as girls to spend more time with stories on touch screens than printed stories. Early years are the vital time to get hooked on books. As boys get older, quiet reading takes a back seat to friends, homework, sports and computer games. Children’s author Jeff Norton was himself a “game-obsessed… very reluctant reader” as a youngster. His popular series MetaWars was deliberately conceived to be as immersive and addictive as a video game. Former teacher (and keen gamer)Simon Scarrow’s novels about Roman gladiators Cato and Macro have been wildly successful, and have now inspired a free app game. With the ability to unlock book extracts, it’s a clever way of connecting with reluctant readers. Tempting boys into fiction isn’t just about building literacy skills for the sake of passing tests: it’s about developing empathy and encouraging escapism. Novels, according to Scarrow, “offer a far greater degree of creative action for a reader and therefore [a] greater sense of immersion”. via Give boys screen time and they’ll start to read | Books | The Guardian. via Ladybird to drop gender-labelling of books | The Bookseller. His son’s experience, and a befuddlement that ‘the educational world cannot tap into the mania and energy’ that boys have for non-fiction, helped fuel Scieszka’s latest franchise. Frank Einstein and the Antimatter Motor is the first in a six-part series centred on its eponymous child genius hero. It integrates real science, immersive and educational illustrative diagrams and experiments that children can (safely) undertake themselves. via Jon Scieska's Frank Einstein series and how he's getting boys to read – Telegraph. That demystifier of puberty, the school library book that had a waiting list for curious year 4s, Growing Up, has been renamed and rebranded to become What’s Happening To Me – pink, naturally, for girls, blue for boys. Why are we reducing the access of biological knowledge to pre-teens? Surely the more they know, the better. Usborne is responsible for that shift change, but they are one of the publishers, along with Parragon Books, who have decided to call time on publishing further gender-specific titles after empowered parents rallied to the Let Books Be Books campaign. via Why the hell are publishers reducing children's books to pink or blue status? – Telegraph. The overwhelming majority of picture books are bought by women, consequently the picture book market reflects female-typical tastes far more than male-typical ones. Even picture books that are intended to appeal to boys partially reflect the tastes of the mother or grandmother that will usually purchase them. This won’t change unless fathers and grandfathers start buying more picture books. The Literacy Trust’s report was published to coincide with the launch of its “Literacy Heroes” campaign celebrating people who inspire a love of books. Dads are always being encouraged to read more to their children at bedtimes; I’d like to encourage dads to go one step further and commit another small act of literacy heroism by going into a bookshop and choosing a really cool picture book to read to their kids. via Attention, dads! Buy your children picture books.